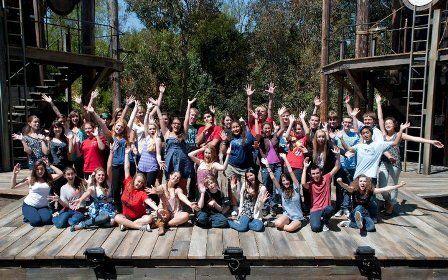 Auditions for The Old Globe’s 2012 Summer Shakespeare Intensive for San Diego County high school students are coming up on Saturday and Sunday, March 10 – 11 on the Globe campus. The four-week program is a unique opportunity for high school actors and actresses to refine their skills as performers in a professional setting. Students selected will study classical theatre technique, voice, movement, stage combat and more while rehearsing for a production of two of Shakespeare’s plays. The four-week program will culminate with a performance of both plays on The Old Globe’s outdoor Lowell Davies Festival stage. The Intensive will take place on Saturday, July 14, Sunday, July 15 and on weekdays from July 16 through August 13. The program cost is $650 with a limited number of need-based scholarships available. This is a fantastic opportunity for students to receive high level training at one of the nation’s top regional theatres. Auditions are by appointment only. For more information, please visit www.TheOldGlobe.org/SummerIntensive or email GlobeLearning@TheOldGlobe.org.